가디언, 김영삼 김일성 사후 한반도 평화 기회 날려 - Newspro Inc.
시진핑 방한 후 동북아 정세가 요동을 치고 있는 가운데 영국의 권위지 가디언이 북한의 김일성 주석 사망 후 한국과 미국의 오판이 북한과의 관계 회복 기회를 어떻게 날려버렸는지를 되짚는 장문의 기사를 올려 눈길을 끌고 있다. 가디언은 11일 ‘How South Korea and America wrecked chance for reconciliation with the North-한국과 미국은 북한과 화해할 기회를 어떻게 망가뜨렸나’라는 제목의 마크 배리 뉴욕 UTS 배리타운 칼리지 경영학 및 정치학교수의 글을 싣고 김일성 주석 사망 직전과 직후의 남과 북, 그리고 미국 등이 얽혀 돌아간 급박한 전개 과정들을 통해 다시금 급변하는 한반도 정세를 돌아보고 있다. 특히 마크 배리 교수는 김일성 사망 마지막 몇 주 전 워싱턴 소재 비정부기관으로 통일교의 후원을 받았던 세계평화정상회의에 참여한 전직 국가수반들을 대신해서 김일성을 만났던 인물로 김일성 사망 전후의 정세 전개를 소상하게 전하고 있다. 마크 배리 교수는 자신이 평양을 방문해 김일성을 만났을 당시 이미 대부분의 권력이 김정일 전 국방위원장이 승계한 상태였고 김일성은 남한, 중국, 러시아, 일본 그리고 미국 등 대외정책에 대한 중용한 결정들을 내리고 있었다고 회고 했다. 마크 교수는 북한의 창시자인 김일성은 20년 전 최초의 남북정상회담이 되었을 순간을 17일 앞두고 갑자기 사망했다며 그가 죽기 전 몇 주, 그리고 그의 장례식마저도 화해의 기회를 위한 드문 순간들이었으나 한국과 미국은 이를 놓쳤다고 아쉬움을 드러냈다. 마크 교수는 김일성이 소비에트 연방의 붕괴, 중국과 한국의 수교, 북핵 위기 등 자신의 생애의 마지막 몇 해 동안 북한을 둘러싸고 급변하는 주변상황들을 해결할 수 있는 사람은 자신 밖에 없다고 생각하고 있었다며 그의 아들에게 부담감을 주고 싶지 않았다고 분석했다. 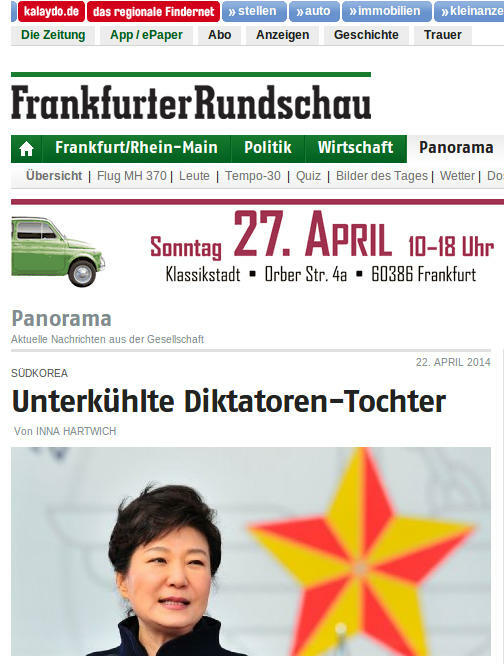 마크 교수는 1993년 북핵 문제가 부상하자 미국은 북한과 고위급 회담에 나서게 됐으며 김일성은 자국의 핵프로그램의 평화적 의도 외에 다른 것이 없다고 부인했지만 이 새로운 위기가 전략적인 기회로 바뀔 수 있다는 것을 알 만큼 그는 술수에 능했다고 평가했다. 결국 미국의 수없는 저지에도 불구하고 북핵 위기의 고조는 개인적이라는 수식어를 단 카터의 방북을 가져왔으며 CNN 취재진을 동반한 카터의 방북이 핵 위기 타결이라는 결과를 가져왔다고 마크 교수는 설명하고 있다. 마크 교수는 카터의 김일성과의 합의가 ‘스텔스 전투기, 장거리 폭격기, 추가적인 항공모함을 보내는 것과 미국 시민들이 한국을 떠나게 하는 것, 그리고 계획된 10,000명의 추가적인 병력 파병을 막아주었다’고 전해 사실상 ‘94년 당시의 핵 위기가 한반도를 전쟁에 몰아넣기 직전까지 갔었음을 보여주고 있다. 마크 교수가 이어 전하는 ‘카터는 개인적으로 자신의 방문이 제2의 한국전쟁을 막았다고 믿었고, 다른 많은 사람들도 (마지못해서이긴 하지만) 그렇게 생각했다. 카터는 국가 간의 갈등을 해결하는 데에는 힘은 외교보다 하위에 있어야한다고 믿었다’는 부분은 남북 간의 갈등이 어느 때보다도 높고 한반도를 둘러싼 힘의 충돌이 현실화 되고 있는 최근 정세에서도 깊이 새겨들을 대목이다. 마크 교수는 카터가 김일성과의 합의를 이끌어낸 후 비무장 지대를 통해 서울로 와 김영삼 대통령을 만났고 94년 7월 25일 남북 정상회담이 정해졌으나 이후 김일성의 갑작스런 사망으로 일어난 일련의 오판들이 남북 신뢰관계를 구축할 수 있는 절호의 기회를 상실하게 되었다고 밝히고 있다. 마크 교수는 ‘만약에 김일성이 북한과 미국과의 관계의 전략적인 궤도를 바꿀 수 있다면, 성공적인 남북 정상회담은 아마 수많은 상호 이익을 산출하며 지속적인 남북 친교, 거래, 상업적 활동으로 이어졌을 것이다’라며 그러나 남한의 대통령인 김영삼은 이 역사적인 순간을 이용해서 정당한 외교절차에 따라 김일성의 죽음에 조의를 표하거나 혹은 그의 핵심 고문들이 주장하듯이 김정일이 오래 가지 않을 것이라고 추정하고 북한과의 적대감을 부채질하여 남한의 보수 유권자를 달래는 것 중에서 선택해야 됐다고 당시 긴박했던 상황을 전했다. 결국 김영삼의 선택은 조의표명을 거절했을 뿐만 아니라, 그의 국무총리는 사망한 북한의 대통령을 “전범”이라고 불렀으며, 남한정부는 한국전쟁을 시작한 것에 대해 김일성을 비난했고, 군사는 초경계 태세를 취한 것이었다며 북한은 분노했고, 상호간의 신뢰를 구축할 가능성은 사라졌다. 마크교수는 이때의 일련의 과정들, 즉 때 이른 김일성의 사망과 당면한 전략적 기회를 김영삼이 인식하지 못했기 때문에 지난 20년 간 남북한 관계는 계속 문제에 시달려왔다고 분석했다. 김영삼이 당면한 역사적 기회에 부응했다면, 그리고 북한의 개혁을 고무하는 것이 전략적 이득이 된다는 것을 클린턴 정부가 이해했다면, 아마도 개혁이 가능한 환경을 함께 조성할 수도 있었을 것이라고 말한 마크 교수는 ‘그 합의가 성사되었다면, 조선민주주의인민공화국의 잠재적 개혁이 어떤 결과를 가져왔을지 누가 알겠는가? 경제 정치적으로 상당한 이익을 취하는 대가로 그들의 유일한 실재적 카드인 핵 프로그램에 대해 협상하도록 김일성은 김정일에게 이미 지시해 놓았다’고 아쉬움을 토로했다. 마크 교수는 2000년 6월, 김영삼을 이은 김대중 대통령이 김정일과 정상회담을 가진 후 비로소 잠시 긴장관계가 개선됐지만 그 개방은 곧 끝나버렸다고 전한 뒤 다시 비슷한 기회가 주어질 수도 있고 이번엔 미국과 한국 박근혜 대통령은 그 기회를 망치지 않도록 제대로 조언을 받게 될 것이라고 전망했다. 시진핑의 방한, 북-일의 접근, 일본의 군사대국화, 미국의 아시아로의 귀환 등 소용돌이치고 있는 한반도 주변 정세에서 마크교수의 이번 글은 이런 때 일수록 남북관계의 신뢰회복이 가장 필요하다는 점을 1994년 김일성 주석의 죽음을 통한 정세변화와 김영삼과 미국의 정세판단 실수를 통해 교훈을 던지고 있다. 다음은 뉴스프로가 번역한 가디언 기사 전문(全文)이다. 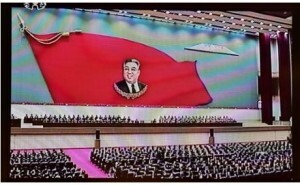 Screen grab from North Korean TV shows mass memorial in Pyongyang on 20th anniversary of Kim Il-sung’s death. North Korea’s founding father Kim Il-sung died suddenly 20 years ago this week – 17 days before what would have been the first inter-Korean summit. The weeks leading up to his death – and even his funeral – were rare moments of opportunity for reconciliation, missed by South Korea and the US. 북한의 창시자인 김일성은 20년 전 이번주, 최초의 남북정상회담이 되었을 순간을 17일 앞두고 갑자기 사망했다. 그가 죽기 전 몇 주, 그리고 그의 장례식 마저도 화해의 기회를 위한 드문 순간들이었으나 한국과 미국은 이를 놓쳤다. I met Kim Il-sung in his final weeks as part of a delegation of former heads of state and government led by a Washington-based NGO, the Summit Council for World Peace, supported by the Unification Church. In April 1994, the North Korean leader appeared in reasonably good health for a man of 82. However, I later learned he suffered from heart disease and knew he may not have much longer to live. 나는 워싱턴 소재 비정부기관으로 통일교의 후원을 받았던 세계평화정상회의에 참여한 전직 국가수반들을 대신해서 죽기 전 마지막 몇 주의 기간에 김일성을 만났다. 1994년 4월 북한 주석은 82세의 연령으로는 상당히 건강해보였다. 하지만 후에 나는 그가 심장질환을 앓고 있으며 아마 더 오래 살지는 못할 것이라는 사실을 알게 됐다. By this point, most of his power had been assumed by his son, who evidently had complete control over domestic policy. Yet the father made the key decisions on the DPRK’s relations with South Korea, China, Russia, Japan, and the US, which were critical for its foreign policy. 당시 그의 아들이 권력의 대부분을 승계한 상태였고 분명히 국내 정치는 완전히 장악하고 있었다. 아버지는 여전히 북한의 대외정책에 중요했던 남한, 중국, 러시아, 일본 그리고 미국의 조선민주주의인민공화국과의 관계에 있어서 중요한 결정들을 내리고 있었다. Kim Il-sung knew that only he could make the strategic changes in North Korea’s relationships with the South, as well as with the US and Japan. This could not be left for his son to attempt after his demise. When I met Kim, he spoke fondly of Kim Jong-il, calling him a filial son who daily tape-recorded reports on what was happening in the country because his father had difficulty reading. 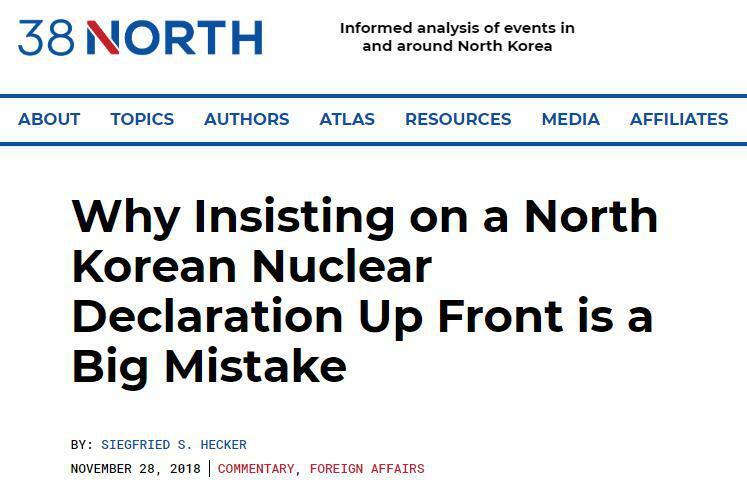 But only the founder of the North Korean state could change the trajectory of the country’s relations with its neighbours so that the entire leadership and population would be obliged to follow. In his final years, Kim Il-sung had seen the collapse of the Soviet Union (preceded by the USSR’s recognition of South Korea); China’s establishment of diplomatic relations with South Korea; and the rise of the DPRK nuclear issue into crisis proportions by May 1994. 김일성은 북한과 한국뿐만 아니라 미국, 일본과의 관계에 있어서 전략적 변화를 만들 수 있는 것은 자신 뿐이라는 것을 알았다. 이 일이 자신이 사망한 후에 아들이 시도하도록 남겨질 수는 없었다. 내가 김일성을 만났을 때 그는 아버지가 글을 읽는데 어려움이 있어서 나라에서 일어나는 일들에 대해 매일 테이프로 녹음해서 보고하는 효자라며 김정일에 대해서 자랑스럽게 얘기했다. 그러나 단지 북한의 설립자만이 이웃국가들과의 관계의 궤도를 바꿀 수가 있었고, 그래야만 전체 지도부와 온 국민이 이를 따르도록 할 수 있었다. 그의 마지막 몇 해 동안 김일성은 소련연방의 붕괴를 보았고(소비에트연방이 한국을 인정하기에 앞서 일어났던), 중국의 한국과의 국교 수교, 그리고 1994년 5월에는 북한 핵 문제가 위기로 부상하는 것을 보았다. 김정일과 그의 아버지 김일성(오른쪽) 1982년 평양에서. He was quite aware that China, then led by Deng Xiaoping, had embarked on a serious economic transformation, loosening central control of the economy but with the Communist party retaining political control. 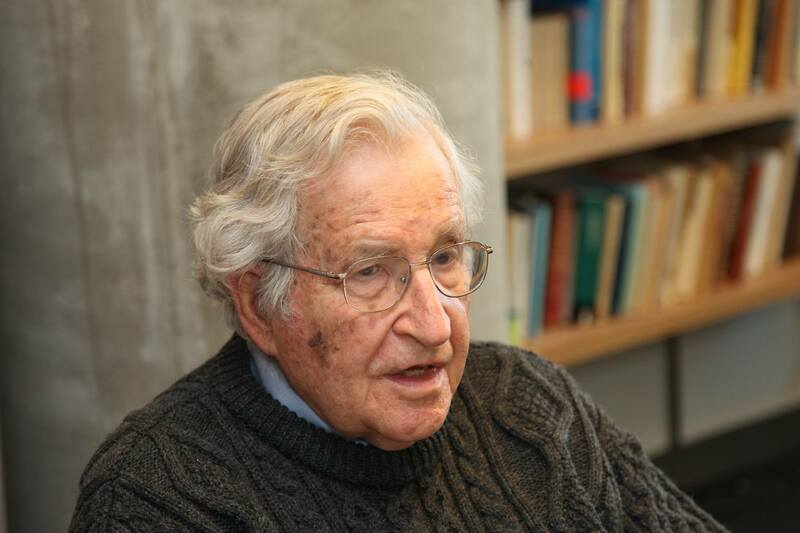 He saw that while communism in Eastern Europe collapsed in 1989, the party remained in power in China. 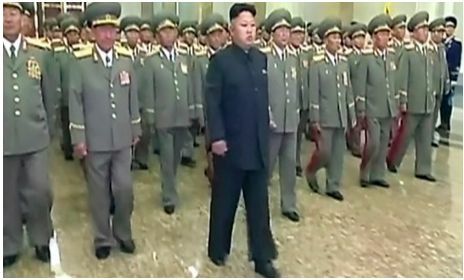 He likely realised he could not have his son inherit an uncertain and unstable international environment if these trends continued without the North undertaking its own dramatic policy initiatives to ensure its survival, in a new era, continuing socialism with DPRK characteristics but accompanied by careful economic reforms. In autumn 1990, Japan and the North tried to improve their relations at a high-level, without much success. A year later, came the landmark Agreement on Reconciliation, Non-aggression and Exchanges and Cooperation between South and North (the so-called Basic Agreement), which called for reconciliation and non-aggression, and remains a viable foundation upon which to build future inter-Korean relations. 그는 당시 등소평이 이끌고 있던 중국이 경제에 대한 중앙의 통제를 느슨히 하되, 정치적 통제력을 가진 공산당을 이용해서 중대한 일련의 경제적 전환에 착수한 것을 잘 알고 있었다. 그는 1989년 동유럽에서는 공산주의가 붕괴한 반면 중국에서는 당이 권력을 여전히 가지고 있음을 보았다. 만일 새 시대에 북한이 생존을 확보하기 위해 스스로 극적인 정책 채택을 수행하지 않고서, 그리고 조선민주주의인민공화국의 사회주의적 특성을 계속하되 신중한 경제적 개혁을 함께 하지 않고서 이러한 추세가 계속된다고 할 때, 자신의 아들이 불확실하고 불안정한 국제적 주변환경을 그대로 이어받도록 할 수는 없음을 그가 깨달았을 가능성이 많다. 1990년 가을, 일본과 북한은 고위층 수준에서 자신들의 관계를 개선하려고 시도했지만 큰 성과는 없었다. 1년 뒤, 화해와 불가침을 조건으로 하는(소위 기본합의서라고 불리우는) 화해, 불가침, 교류와 협력에 대한 남북한 합의가 획기적으로 성사됐고, 이것은 미래의 남북관계를 쌓기위한 실행가능한 기반으로 남게 된다. By 1993, the gravity of the nuclear issue caused the US to begin its first ongoing high-level diplomatic engagement with North Korea, represented by Ambassador Robert Gallucci. During my 1994 meeting with Kim Il-sung, it did not appear he had detailed knowledge of the DPRK’s nuclear programme and was dependent on others to inform him. Publicly, he denied their programme had anything other than peaceful intentions, but Kim was shrewd enough to realise he could turn a brewing crisis into a strategic opportunity. 1993년에 이르기까지는 핵문제의 중대함은 미국으로 하여금 북한과 현재도 진행 중인 고위층 외교 관계를 시작하도록 했으며 로버트 갈루치 대사가 그 일을 맡았다. 내가 1994년 김일성을 만났을 때는 그는 조선민주주의인민공화국의 핵프로그램에 대해 별 다른 지식이 없는 듯 했으며 주변에서 보고하는 것에 의존하고 있었다. 대외적으로 그는 자국의 핵프로그램의 평화적 의도 외에 다른 것이 없다고 부인했지만 이 새로운 위기가 전략적인 기회로 바뀔 수 있다는 것을 알 만큼 그는 술수에 능했다. 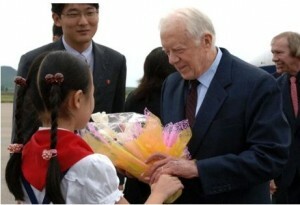 From 1991, North Korea had issued several invitations to former president Jimmy Carter to visit Pyongyang. Each time Carter sought to accept the invitation the State Department shot down the idea, whether under James Baker or Warren Christopher. Finally, in early June 1994, Carter made another appeal to the president, Bill Clinton. Vice President Al Gore interceded and obtained Clinton’s reluctant approval for Carter to make the trip, as long as he did so in a private capacity. 1991년부터 북한은 평양을 방문하도록 지미 카터 전 대통령을 여러 번 초청했다. 매번 카터가 초청을 응하려 할 때마다 국무부는 제임스 베이커 혹은 워렌 크리스토퍼의 지시 하에 이에 제동을 걸었다. 마침내 1994년 6월 초 카터는 빌 클린턴 대통령에게 다시 한번 탄원을 했다. 알 고어 부통령이 중재하며 카터가 개인적으로 방문한다는 선에서 카터의 방북에 대한 클린턴의 마지못한 승락이 내려졌다. 감옥에 감금된 미국인의 석방을 얻어내기 위해 2010년 북한을 재방문한 지미카터가 평양공항에서. When Carter arrived in Pyongyang in mid-June at the height of the nuclear crisis, he built on the foundation of a discussion held a week earlier between scholar Selig Harrison and Kim Il-sung that broached the idea of freezing the North’s nuclear programme in exchange for proliferation -resistant light-water reactors. To Carter’s surprise, Kim agreed to shut down the programme in exchange for the reactors, as long as the US compensated the North for “lost energy production” through the provision of heavy fuel oil. 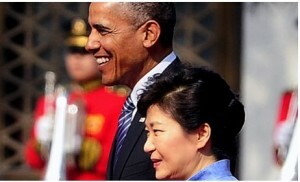 Moreover, Kim agreed to meet South Korea’s then president, Kim Young-sam, for the first-ever inter-Korean summit. Carter had fortunately brought a CNN film crew to Pyongyang, enabling him to appear live on international television to announce he had arrived at an agreement with Kim Il-sung that defused the nuclear crisis. 핵위기가 절정에 달한 6월 중순, 카터가 평양에 도착했을 때 그는 일주일 전 학자 셀릭 해리슨과 김일성이 가졌던 대화, 즉 핵프로그램 동결 대신 경수 원자로로 교환하는 아이디어에 대한 논의의 토대를 세웠다. 카터에게 의외이게도 김일성은 원자로와의 교환으로 핵프로그램 폐쇄에 동의했으며 그 조건으로 이로 인해 생기는 북한의 “에너지 생산 손실”에 대해 미국이 중유 지급을 통해서 보상할 것을 요구했다. 더 나아가서 김일성은 한국의 당시 대통령이었던 김영삼을 만나 사상 최초 남북정상회담을 가지는 것에 동의했다. 다행히도 카터는 CNN 취재팀을 평양에 동반했고, 김일성과 합의에 도달해 핵위기를 완화시켰다는 발표를 전세계가 지켜보는 가운데 할 수 있었다. 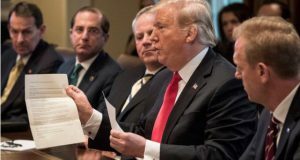 The announcement prevented the planned US dispatch of 10,000 additional troops, along with stealth fighters, long-range bombers, an additional carrier battle group to the region and the evacuation of American civilians from the South. 그 발표는 그 지역에 스텔스 전투기, 장거리 폭격기, 추가적인 항공모함을 보내는 것과 미국 시민들이 한국을 떠나게 하는 것, 그리고 계획된 10,000명의 추가적인 병력 파병을 막아주었다. 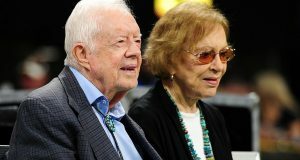 Carter’s visit limited the Clinton administration’s policy options, making a military response not credible and ensuring Russian and Chinese resistance to UN Security Council sanctions. Moreover, Carter in effect was telling the world that Kim Il-sung was a reasonable man who accepted a nuclear freeze, and that negotiations with the paramount leader in any society were preferable to confrontation and heightened tensions. 카터의 방문은 군사적 대응을 신뢰할 수 없는 것으로 만들었고, UN 안전보장이사회의 제재에 대한 중국과 러시아의 저항을 확실하게 하며 클린턴 행정부의 정책 선택의 범위를 제한시켰다. 게다가 카터는 실제로 김일성이 핵동결을 받아들인 합리적인 인물임을, 그리고 어떠한 사회에서도 최고 지도자와의 협상은 갈등과 고조된 긴장보다는 나은 것임을 전세계에 알린 셈이다. Carter personally believed, as did many others (however reluctantly), that his visit prevented a second Korean War. Carter believed that power should be subordinated to diplomacy in solving conflicts among nations. 카터는 개인적으로 자신의 방문이 제2의 한국전쟁을 막았다고 믿었고, 다른 많은 사람들도 (마지 못해서이긴 하지만) 그렇게 생각했다. 카터는 국가간의 갈등을 해결하는 데에는 힘은 외교보다 하위에 있어야한다고 믿었다. Carter crossed the DMZ back to South Korea, where he met President Kim Young-sam and organised a summit between the leaders, scheduled for 25 July 1994. In the meantime, the US formally confirmed Carter’s agreement with the DPRK and began a months-long negotiation, culminating with the October 1994 Agreed Framework and the establishment of the Korean Peninsula Energy Development Organization (Kedo). This agreement held, with difficulty, through 2002, when it finally fell apart due mutual accusations of non-adherence to its terms. 카터는 비무장지대를 지나 남한으로 돌아와서 김영삼 대통령과 만났고 지도자 사이의 정상회담을 기획해서 1994년 7월 25일로 일정을 잡았다. 그러는 사이에, 미국은 북한과 카터의 합의를 공식적으로 확인했고 수개월에 걸친 협상을 시작해서 1994년 10월의 미·북한 핵동결 협약과 한반도 에너지 개발기구 (Kedo) 설립을 성사시켰다. 이 협상은 그 합의 조건을 준수하지 않는다는 상호 비난과 함께 합의가 결국 결렬된 2002년까지 어렵게나마 지켜졌다. 평양에서 죽은 지도자 김일성과 김정일의 초상화 앞에서 사진을 찍기위해 북한군 병사들이 포즈를 취하고 있다. The immediate aftermath of Carter’s visit was highly auspicious for South Korea. For Kim Young-sam, a historical opportunity had fallen into his lap. He was to become the first South Korean president to meet the North Korean leader. If Kim Il-sung was able to change the strategic trajectory of the North’s relations with the US, a successful inter-Korean summit could conceivably yield numerous mutual benefits leading to ongoing inter-Korean engagement, exchange and commercial activity. 카터 방문의 즉각적인 여파는 남한에게는 매우 행운이었다. 김영삼에 있어서는 역사적인 호기가 그에게 쉽게 주어졌다. 김영삼은 북한 지도자와 만나게 되는 첫 번째 한국 대통령이 될 것이었다. 만약에 김일성이 북한과 미국과의 관계의 전략적인 궤도를 바꿀 수 있다면, 성공적인 남북 정상회담은 아마 수많은 상호 이익을 산출하며 지속적인 남북 친교, 거래, 상업적 활동으로 이어졌을 것이다. On 7 July my colleague Antonio Betancourt, the Summit Council’s secretary general, was in Pyongyang to discuss the details of opening an office – a move that had been agreed upon in principle. The next day he was scheduled to meet Kim Yong-sun, the North Korean number three, to sign the agreement. 7월 7일 나의 동료이며 정상회의 사무총장 안토니오 베탕쿠르가 원칙적으로는 합의가 된 조치로서 집무실을 여는 것에 관한 세부사항을 의논하기위해 평양에 도착했다. 그는 다음날 북한의 삼인자인 김용순을 만나 합의서에 서명을 하도록 예정되어 있었다. But the next morning he was told the meeting could not take place. He left for Beijing the next day, but upon arrival at the airport he was met by DPRK embassy officials who told him that Kim Il-sung had died overnight. Now he knew why his scheduled meeting with Kim Yong-sun had been cancelled. 그러나 다음날 아침 그는 회의가 열릴 수 없다는 통보를 받았다. 그 다음날 그는 베이징으로 떠났고 베이징 공항에서 만난 북한 대사관 관계자가 김일성이 밤새 사망했다는 소식을 알려줬다. 이제 그는 김용순과 예정되었던 회의가 취소된 이유를 알게 됐다. 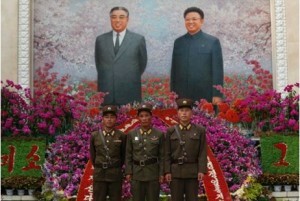 Betancourt remained in Beijing and went to the North Korean embassy to offer his condolences. Shortly afterward, he unexpectedly received an invitation to attend Kim Il-sung’s funeral – probably the only American to do so. 베탕쿠르는 베이징에 남아 있다가 북한대사관을 방문해 조의를 표했다. 그후 곧 그는 예상치 못하게 아마도 미국인으로서 유일하게 김일성 장례식에 초대를 받았다. As no foreign TV crews were permitted to cover the funeral, CNN phoned Betancourt in Pyongyang (calls to the North in those days had to be routed through Canada) and he was interviewed live by Larry King, describing the atmosphere on the day of the funeral. 외신 TV 기자들의 장례식 보도가 허락되지 않았기때문에 CNN이 평양에 있는 베탕쿠르에게 전화(그 당시 북한에 전화하기 위해서는 캐나다를 통해야만 했다)를 했고, 그는 래리 킹과 생중계 인터뷰로 장례식 당일의 분위기를 설명했다. Betancourt, who had met Kim Il-sung five times, later conveyed his condolences directly to Kim Jong-il in a reception after the funeral. 김일성을 5번 만난 바 있는 베탕쿠르는 장례식 후 리셉션에서 김정일에게 직접 조의를 표했다. The inter-Korean summit scheduled for 25 July obviously could not take place, but it did not mean a summit was impossible in the future. South Korean president, Kim Young-sam had a choice to make: he could use this historic moment to follow correct diplomatic procedure and offer his condolences over Kim Il-sung’s death or he could assume, as his key advisors argued, that Kim Jong-il would not last long and appease South Korean right-wing voters by fuelling hostilities with the North. 7월 25일로 예정됐던 남북간 정상회담은 명백히도 열릴 수 없게 됐지만, 그렇다고 정상회담이 차후에도 불가능하다는 의미는 아니었다. 남한의 대통령 김영삼은 선택을 해야했다: 이 역사적인 순간을 이용해서 정당한 외교절차에 따라 김일성의 죽음에 조의를 표하거나 혹은 그의 핵심 고문들이 주장하듯이 김정일이 오래 가지않을 것이라고 추정하고 북한과의 적대감을 부채질하여 남한의 보수 유권자를 달래는 것 중에서. 2014년 7월 8일 김정은이 그의 조부인 김일성의 사망 20주년을 기리기위해 금수산태양궁전을 방문하고 있다. Kim Young-sam not only refused to offer condolences, but his prime minister labeled the deceased North Korean president a “war criminal”; the South Korean government blamed Kim Il-sung for starting the Korean war; and the military was put on high alert. 김영삼은 조의표명을 거절했을 뿐만 아니라, 그의 국무총리는 사망한 북한의 대통령을 “전범”이라고 불렀으며, 남한정부는 한국전쟁을 시작한 것에 대해 김일성을 비난했고, 군사는 초경계 태세를 취했다. North Korea went ballistic and the possibility of building mutual trust evaporated. At the UN, flags were at half-mast, and President Bill Clinton and other world leaders extended their condolences, but Kim Young-sam remained firm, barring condolence visits to the North and even private expressions of grief by citizens. 북한은 분노했고, 상호간의 신뢰를 구축할 가능성은 사라졌다. 유엔은 조기를 게양했고, 빌 클린턴 대통령 등 세계 지도자들이 조의를 표했으나, 김영삼은 북한에 조문단을 보내지도 않았고 시민들의 개인적 애도마저도 금지하며 단호한 태도를 유지했다. If Kim Young-sam had gone to Pyongyang for the funeral, he could have changed the trajectory of South Korea’s relations with the North. He could have met Kim Jong Il and received a commitment that the inter-Korean summit would take place in the near future. 만일 김영삼이 평양의 장례식에 갔다면, 남북관계 궤도를 바꿔놓았을 수도 있다. 그는 김정일을 만나 가까운 장래에 남북정상회담을 개최한다는 약속을 받을 수도 있었을 것이다. Instead, his actions rubbed salt in the North’s wound. 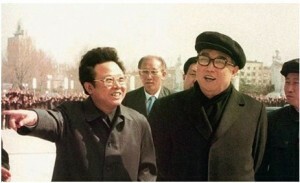 The lasting personal impact upon Kim Jong-il of Seoul’s behaviour after his father’s death should not be underestimated. It also blatantly showed how South Korea’s policy to the North was submerged in domestic politics. 그 대신에 그의 행동은 사태를 악화시켰다. 아버지의 사망 후, 남한의 행동이 김정일에게 오랫 동안 끼친 개인적 영향은 과소평가되어서는 안 된다. 그것은 한국의 대북정책이 얼마나 국내정치에 휘말려 있는지를 노골적으로 보여주었다. In his final years, Kim Il-sung observed that Deng Xiaoping’s reforms were transforming China – without the Communist party losing power. There were strong indications the elder Kim wanted to put North Korea on a new track to be led by his son, emulating certain Chinese reforms but with North Korean characteristics. 김일성은 그의 말년에, 공산당이 권력을 잃지 않은 채 등소평의 개혁이 중국을 변화시키는 것을 주시했다. 북한의 특성을 유지한 채로 일부 중국개혁을 모방하여, 아들이 이끄는 새로운 궤도에 북한을 올려놓기를 김일성이 바랬다는 강한 조짐이 있었다. Had Kim Young-sam been attuned to the historic opportunities at hand, and had the Clinton administration appreciated the strategic benefits of encouraging North Korean reform, perhaps together they could have fostered an environment in which reforms were possible. 김영삼이 당면한 역사적 기회에 부응했다면, 그리고 북한의 개혁을 고무하는 것이 전략적 이득이 된다는 것을 클린턴 정부가 이해했다면, 아마도 개혁이 가능한 환경을 함께 조성할 수도 있었을 것이다. If the agreements had succeeded, who knows where potential DPRK reforms could have led? Kim Il-sung had already instructed Kim Jong-il to negotiate on the nuclear programme – their only real card – in exchange for significant political and economic benefits. 그 합의가 성사되었다면, 조선민주주의인민공화국의 잠재적 개혁이 어떤 결과를 가져왔을지 누가 알겠는가? 경제정치적으로 상당한 이익을 취하는 대가로 그들의 유일한 실재적 카드인 핵프로그램에 대해 협상하도록 김일성은 김정일에게 이미 지시해 놓았다. Yet, after the elder Kim’s death, the Kim Young-sam government wrongly believed the North would quickly collapse and chose not to encourage its existing leadership to potentially engage in reforms. 하지만, 김일성 사후, 김영삼 정부는 북한이 곧 무너질 것으로 잘못 판단하고 북의 현존 지도부의 가능한 개혁을 하도록 장려하지 않기로 결정했다. 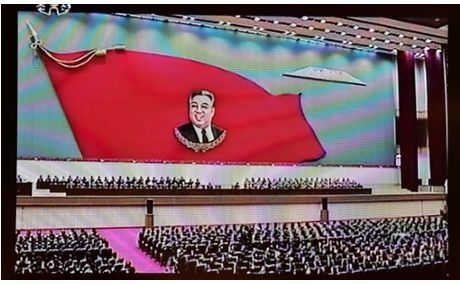 Kim Il-sung’s untimely death and Kim Young-sam’s failure to realise the strategic opportunity at hand have haunted inter-Korean relations over the past 20 years. 때 이른 김일성의 사망과 당면한 전략적 기회를 김영삼이 인식하지 못했기 때문에 지난 20년 간 남북한 관계는 계속 문제에 시달려왔다. Tensions were briefly ameliorated only after Kim Jong-il’s summit with Kim Young-sam’s successor, Kim Dae-jung, in June 2000. That opening soon passed and grandson Kim Jong-un, now in power, has yet to meet even his first foreign leader. 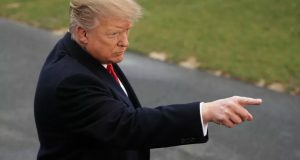 But a similar opportunity could present itself again and this time the US and the South Korean president, Park Geun-hye, would be well advised not to blow it. 2000년 6월, 김영삼을 이은 김대중 대통령이 김정일과 정상회담을 가진 후 비로소 잠시 긴장관계가 개선됐다. 그 개방은 곧 끝나버렸고, 현재 집권자인 김일성의 손자 김정은은 외국 정상과 아직 첫 만남조차 못했다. 하지만 비슷한 기회가 주어질 수도 있고 이번엔 미국과 한국 박근혜 대통령은 그 기회를 망치지 않도록 제대로 조언을 받게 될 것이다. • The Summit Council for World Peace, an association of former heads of state and government, was founded in 1987 by the Rev Sun Myung Moon (who was born in northern Korea). • 세계평화정상회의, 전직 국가수반들의 모임으로, 1987년 문선명(북한에서 출생했다)목사에 의해 창설됐다. 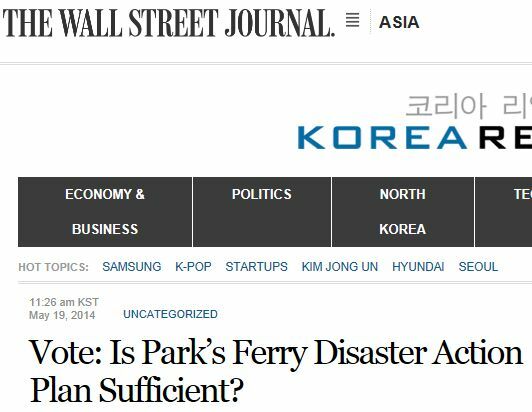 • The severity of Kim Il-sung’s heart disease, largely unknown in June 1994, is part of a story line in the currently airing SBS K-Drama, Doctor Stranger, popular in the South and also the North. • 김일성이 당시 심각한 심장병을 앓고 있었다는 것은 1994년 6월에는 대체로 알려지지 않았지만, 현재 남한과 북한에서 인기를 끌고 있는 SBS 한국 드라마, 닥터 이방인의 줄거리 일부분이다. • Betancourt told Larry King that DPRK officials wanted to follow what Kim Il-sung had agreed with Jimmy Carter, but were furious that Kim Young-sam made it a crime for South Koreans to express condolences. • 베탕쿠르는 래리 킹에게 조선민주주의인민공화국 관료들이 김일성과 카터가 협의했던 것을 따르고 싶었지만, 김영삼이 한국인들이 김일성에 대해 조의를 표하는 것을 금한 것에 분노했다고 말했다. • 브래들리 마틴은 자신의 저서, 아버지같은 지도자의 자애로운 보살핌 아래: 북한과 김씨 왕조에서, 1998년 김정일이 친북 조총련 간부들과의 대화록에서, “김영삼을 ‘더러운 쓰레기봉투’라고 칭했고, 그 북한 지도자는 자신의 방문객들에게 ‘내가 유감스러운 한가지는 그가 나쁜 조언자들에 둘려싸여 있다는 것이다. 김일성 영도자가 사망했을 때, 김영삼은 참모들 때문에 장례식에 참석할 수 없었다. 나는 김영삼 자신이 형편없는 참모들을 지닌 것을 유감스러워한다고 듣고 있다. 김일성 영도자가 사망했을 때, 나는 김영삼이 장례식에 참석하길 원하면 어떻게 해야 하는지 김용순 비서와 토론했었고 그를 영접할 자세한 계획서를 만들었다. 하지만 그는 오지 않았고 우리는 그에게 몹시 화가 났다. 만약 그가 지혜라는 것을 지녔다면, 장례식에 왔을 것이다. 만약 그가 왔더라면, 그는 북한을 인수해서 통일 한국의 대통령이 됐을지도 모른다. 어리석은 자 같으니라고’”라고 말했다고 썼다. 마크 배리는 뉴욕 UTS의 배리타운 칼리지에서 경영학과 정치학을 강의하고 있고, 지난 24년동안 미국과 북한관계를 연구해왔다. 그의 트윗 주소는 Twitter @drmarkpbarry이다.